Earnings and cash flow were each up triple digits for athenahealth in the second quarter of fiscal year 2018, and revenue was on the upswing too as the company looks to chart a course through a tumultuous period marked by a hostile takeover bid and the resignation of its founding CEO. Net income from continuing operations, meanwhile, was up nearly 265 percent, year over year, and adjusted earnings per share up almost 112 percent. 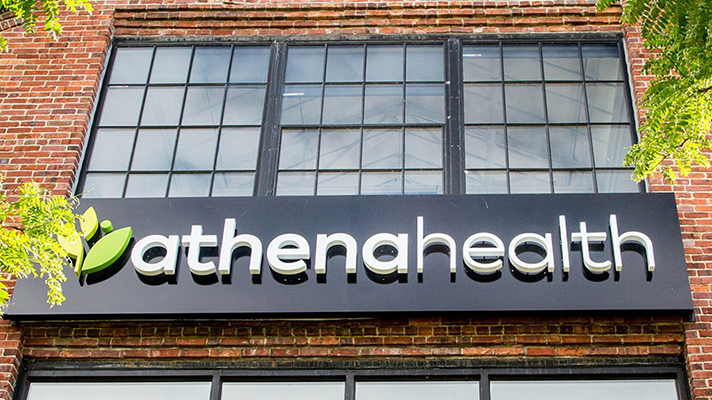 "We achieved double digit top-line growth on a comparable basis and significantly improved profitability and operating cash flow year-over-year," said athenahealth Chief Financial Officer Marc Levine. "We remain focused on executing against our product and technology initiatives, improving the customer experience, and delivering on our financial commitments." Year over year, the cloud-based IT company also saw double-digit network growth for its ambulatory technology (athenaCollector, athenaClinicals, athenaCommunicator) and triple-digit growth for its athenaOne platform for hospitals. "Any company that undergoes the type of changes we're making at athenahealth experiences a certain degree of uncertainty," said athenahealth Executive Chairman Jeffrey Immelt on Monday's earnings call. "However, the overwhelming sentiment with our employees and clients has been one of optimism and confidence about the strength of athenahealth and where we're headed." Immelt also noted that the company has yet to decide on a strategy for how or whether to find a buyer, amid ongoing pressure from Elliott Management. "The board and I believe there's significant value embedded in the company, notwithstanding the positive actions that have been taken to enhance growth and profitability," said Immelt. “We're fully engaged in a thorough evaluation of strategic alternatives to enhance shareholder value." He added that there's no definitive timeline for the completion of that process, but "we're moving with purpose as we consider a number of options, including a sale, merger or other transaction involving the company as well as continuing as an independent company."